Mini Mint to Be favours are small, fresh peppermint rolls. The favours are wrapped in a silver foil and will be covered with a personalised design. The tiny Mini Chocolates are a great gesture to say thank you to all your guests at your wedding. Order these personal Mini Pillow Box with personalised sticker. The more you order the lower the price gets. 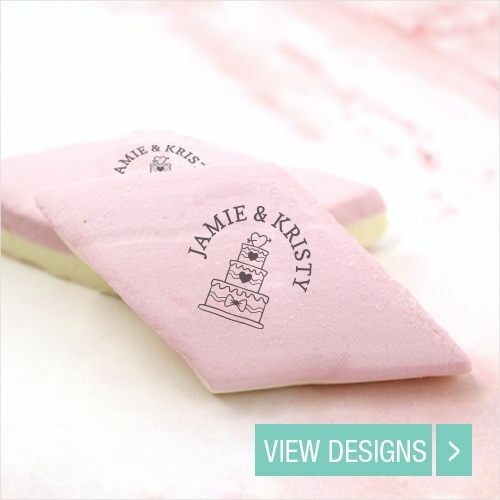 These Printed Marshmallows are the perfect cheap wedding favour. 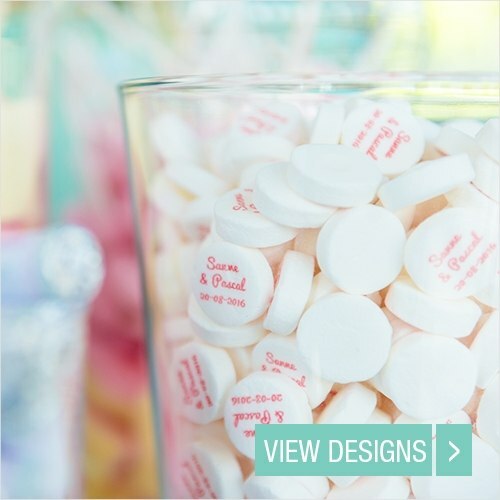 Sweet and personalised, ready for your wedding day! 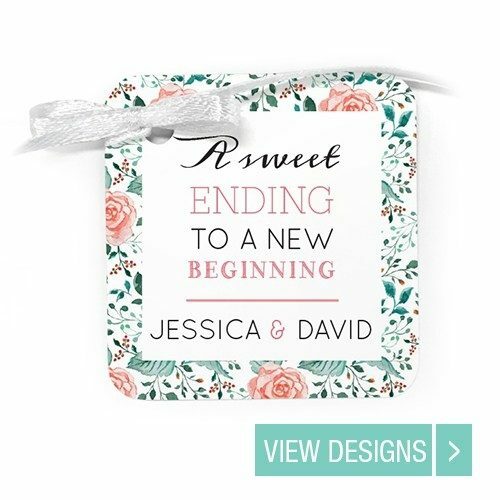 Wedding Tags with a unique design and colourful ribbon. 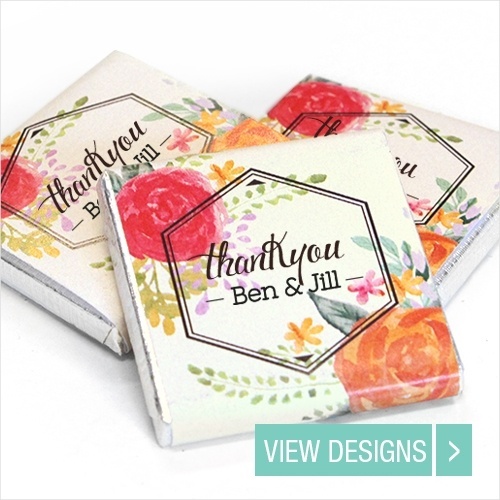 Perfect as a cheap wedding favour! The Printed Mints are simple, small and cheap. A delicious personal wedding favour for you wedding! One of the biggest problems during the planning of your wedding day is the budget. The basis of a perfect wedding is already expensive and that is just the beginning. But, no stress! We have the perfect solution for a small budget. 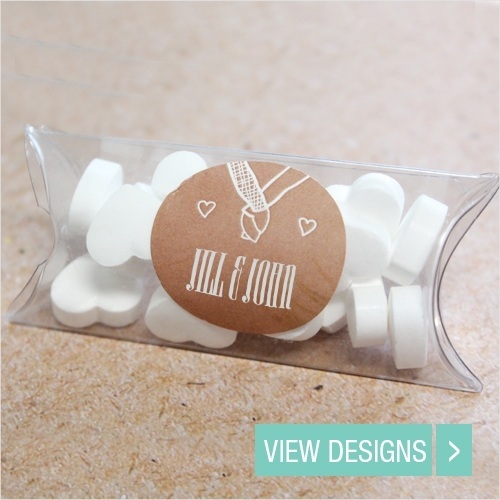 Our wedding favours under £1 are ideal to treat your guests with. A small present with lots of love, please take a look at the possibilities. The products that are displayed above, can be ordered from 20 pieces. This small number of pieces is a special service that LocoMix stands for. 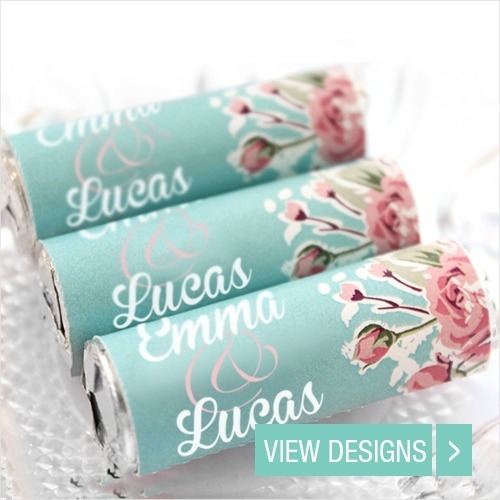 When you have a small budget, it is still easy to find some cheap wedding favours that you like! When chosen the right favour, please take a look at our spectacular wedding designs, designed especially for you. If you are interested in a slightly more expensive wedding favour? Or are you ready to go extra? There are many possibilities for this too! For example the Prosecco Favours or funny Gumball Machines. Everything is possible because you can personalize and adjust your favours with our online design tool. The wedding favours can be ordered from 20 pieces.